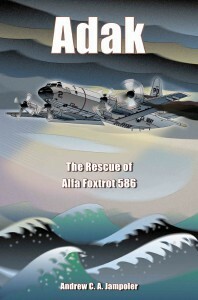 The fifteen men of Navy AF 586 went down in their stricken plane off Siberia in late October 1978, 90 minutes after a propeller failure ended their sensitive mission. Ten lived through the ordeal and were rescued by Soviet fishermen. Hear about the flight crew’s courageous fight to survive in stormy seas from someone who has flown the same aircraft over the same waters. 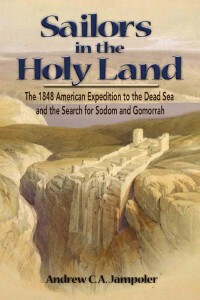 Travel with Lieutenant William Lynch and his party of volunteer navy men in 1848 on the first and only American expedition of exploration to the Dead Sea. Defying Bedouin threats and epidemic disease, the expedition rowed in two special purpose metal boats across the Sea of Galilee, down the River Jordan, and onto the Dead Sea for weeks of scientific investigation, making history with every mile. 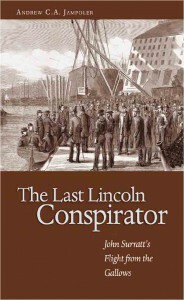 Flee with John Surratt, Jr., the youngest Lincoln assassination conspirator, across the Atlantic, Europe, and the Mediterranean as he attempts to escape from American justice in 1865-66. Chased out of Rome, where he hid for a time as a member of the Papal Zouaves, Surratt was eventually caught in Alexandria, Egypt, and returned to the U.S. for trial. 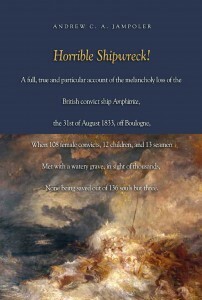 “A full, true and particular account of the melancholy loss of the British convict ship Amphitrite, the 31st August 1833, off Boulogne, when 108 female convicts, 12 children, and 13 seamen met with a watery grave, in sight of thousands, none being saved but three.” The wreck of Amphitrite horrified and scandalized Victorians, and prompted Parliamentary intervention and an Admiralty investigation to fix blame. 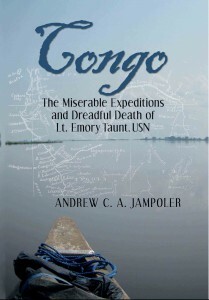 U.S. Navy Lieutenant Emory Taunt traveled up Africa’s fever-infested Congo River alone in mid-summer 1885 under orders from the secretary of the navy. He returned twice to Equatorial Africa—a region made famous by Henry Morton Stanley, the intrepid explorer—seeking distinction and to salvage his reputation destroyed by alcoholism. Taunt died alongside the river in 1891, while serving as the American commercial agent in what had become King Leopold II’s private estate. The story of the beautiful and nearly new Royal Mail Ship Rhone, sunk in the Caribbean during the terrible hurricane of October 1867. 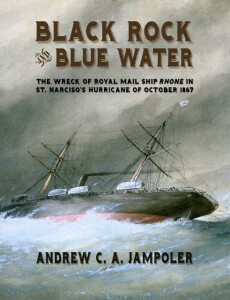 Breaking for the safety of the open sea, Rhone ran hard aground on Black Rock at full speed and snapped in half. The great storm struck soon after a summer yellow fever epidemic and was followed by a tsunami two weeks later. These three great trials devastated the islands. Recovery took years. The wreck of the Rhone is a popular scuba dive site today. 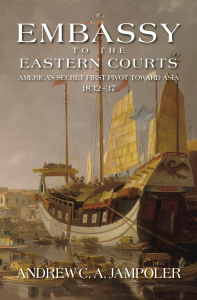 President Andrew Jackson sent the U.S. Navy’s new squadron around the world via Cape Horn and the Cape of Good Hope, carrying diplomats on a years’ long, 40,000 mile mission to the courts of Southeast Asia and Arabia. Their purpose was to negotiate agreements to open exotic markets to New England’s manufacturers and merchants. Contemporary documents reveal colorful details of these first contacts between Eastern potentates and Yankee traders.